Increased Property Taxes? Who’s to Blame? Are Rockville’s Taxes Going Up, Down, or Staying Flat? 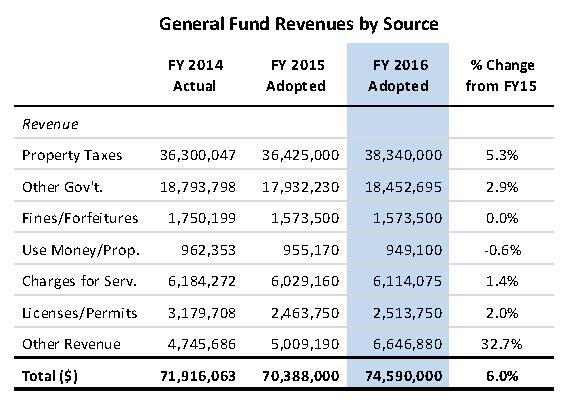 General Fund Revenues by Source, FY 2016 Adopted Budget, City of Rockville, page 9. 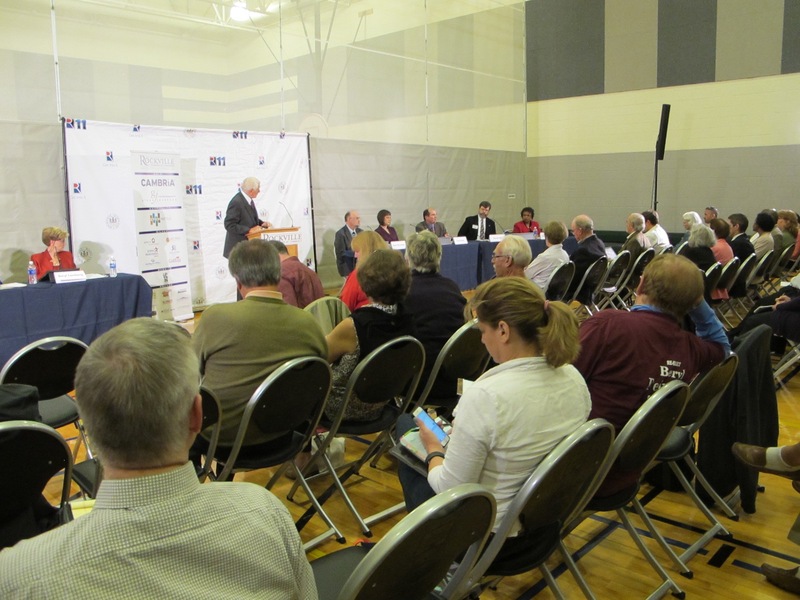 In elections, taxes are often a hot-button issue and that’s no different in the current Rockville Mayor and Council campaign. Taxes are are the largest source of government revenue and directly affect most residents and businesses, but they aren’t the only source. 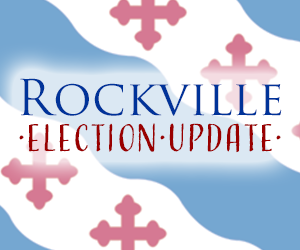 For Rockville, those sources include fees, permits, fines, licenses, investments, and overhead. As you can see in the chart from the City’s FY2016 adopted budget, property taxes contribute 51 percent and “Other Gov’t” (which consists of highway user taxes and income taxes) is 25 percent. I often hear Rockville residents grumble about property taxes and they often blame the city for taking an unfair share of their hard-earned income. 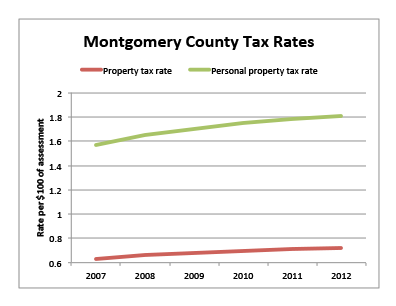 Although property taxes in the City of Rockville have held steady for the last few years, they’ve risen in Montgomery County. 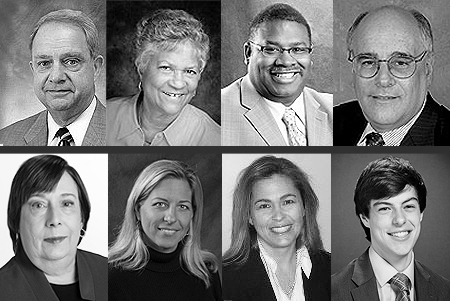 From 2007 to 2012, the County Council has increased the tax rate each year–but hardly anyone in Rockville has noticed and put the blame in the right place. In 2007, the property tax rate was 62 cents for every $100 in assessed value, today it’s 72 cents–a 15 percent increase over five years. Businesses were similarly affected through personal property taxes (which is assessed on inventory, manufacturing equipment, etc. ), rising from $1.57 to $1.81, a 16 percent increase over five years. No changes at the State of Maryland–it does not assess property taxes. Why blame the City and not the County? I suspect it’s because residents assume that 100 percent of their property taxes goes to the city in which they live. Actually, each jurisdiction sets its own rates and you’ll see it split out in writing on your annual property tax bill. If you live in Rockville, for every $100 in the assessed value of your property, you pay 72 cents to the county and 29 cents to the city. Today, the median sales price for a house is Rockville is $416,000, so the total annual property tax bill would be $4,227–$3,012 for the county and $1,215 for the city. 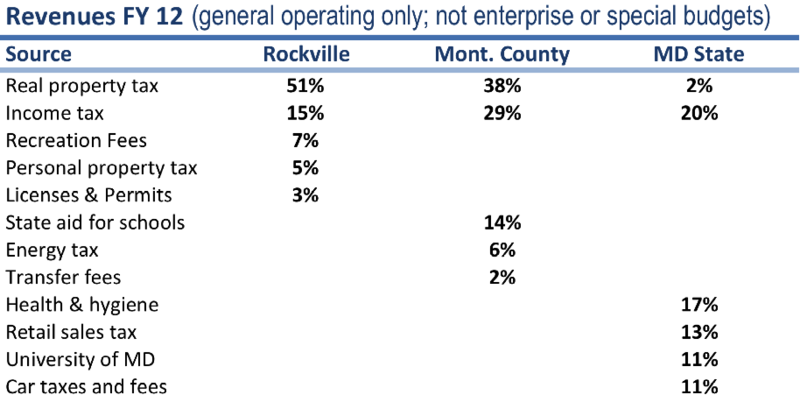 Montgomery County receives more than twice as much money from you as the City of Rockville–do you feel you get the same proportion of value in return? It is has been proposed that a person’s recognition that they pay property taxes is directly related to their level of civic engagement (e.g., voting, writing city council, speaking up at public hearings). In other words, a homeowner knows they pay property taxes because they receive an annual bill, so they’re aware that they’re taxpayers and have a say about government. That’s not true about renters, condo owners, or resthome residents, whose property taxes are rolled into their monthly fees or dues, so they’re not as apt to think they’re tax payers and have a stake in government. What do you think? Tax rates for the last ten years are available from the Maryland State Department of Assessments and Taxation. 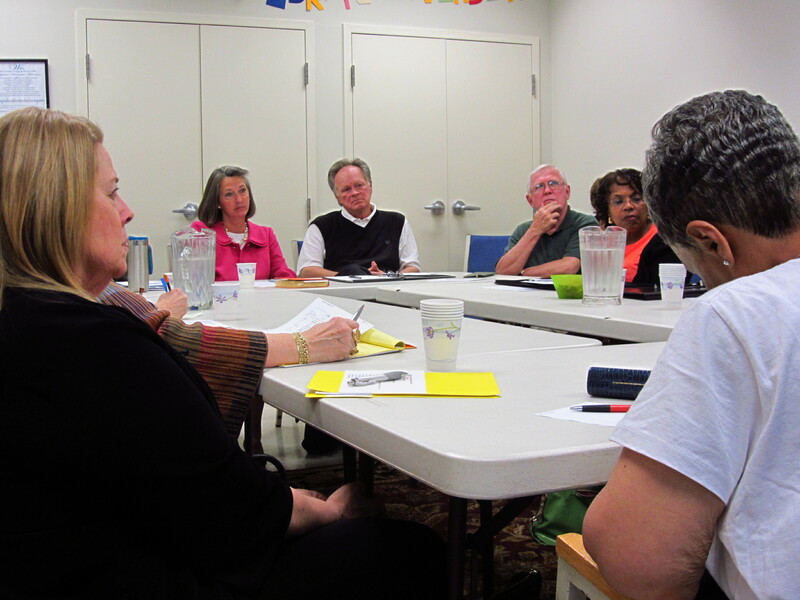 Can Rockville’s 2013 Budget Avoid a Crossroads in 2014? The Mayor and Council just closed public hearing on the upcoming $65 million budget and about twenty people had comments (mostly community service groups, such as Community Ministries, Sister City, Jefferson House, Scholarship Foundation, and Bike Advisory Committee). Out of nearly 70,000 residents, that doesn’t seem like very many people and I’m not sure if that means that residents don’t care, don’t understand it, or didn’t know about it, but considering it’s all about how their money is used, it’s surprising. The public record stays open until 5 pm on May 17 so there’s still time to submit comments before the budget is adopted on May 21 (although some members of the Council admitted they are drowning in budget information). As many of you know, I’ve had ongoing concerns that there’s been a trend that revenues aren’t keeping up with expenses and although the Council has so far kept those lines from crossing, it may be impossible to avoid in the next couple years without some serious consequences. Of course, the City can’t run a deficit, so that means either increasing revenues (typically taxes) or reducing expenses (fewer city services). No politician likes that situation because voters don’t like those options. We prefer an imaginary world of more services and fewer taxes believing it’s possible by following platitudes like cutting fat, working smarter, and thinking outside the box (and incidents like the recent GSA conference only confirm those feelings). What really happens is that politicians will avoid tax increases on those who yell the most and the loudest (usually seniors because they understand the system and have time) and cut services to those don’t complain (people who don’t understand the system or don’t have time, such as children, families with kids, renters, recent immigrants, and the poor). City, county, and state revenue sources in 2012. Click to enlarge. Councilmember Bridget Newton at Rockville Community Coalition meeting. Charter Review Commission: she supports opening the commission membership to applications from citizens and at the last Council meeting it was decided that each Councilmember could appoint one person and that together they would appoint another five, plus the Mayor would appoint the Chair. She doesn’t have any problems with the current charter, although she noted that a few years ago there were some discussions about whether to continue the Manager-Council form of government, but she had no issues with that. She also had no preconceived outcomes, such as a 7-member council, and wants the commission to be an independent group who would do their own research. She’s committed to holding a referendum on any changes to the Charter before Council makes a decision.